A day after acquiring a 20.3% stake in software services company Mindtree Ltd, engineering and financial services conglomerate Larsen & Turbo Ltd started a charm offensive to sweeten the hostile nature of the bid. L&T CEO and managing director SN Subrahmanyan said in a press conference on Tuesday the conglomerate was approaching its bid for Mindtree with “dil” (heart) and “pyaar” (love) and pointed out the “inevitability” of this transaction because of Café Coffee Day founder VG Siddhartha’s decision to sell his 20.32% stake. According to L&T, Mindtree’s management had approached the engineering giant several years ago for an exit. But L&T was preoccupied at the time because of its focus on manufacturing and resolving its succession issues. L&T was led by AM Naik for almost two decades. He gave up the executive role in 2017, paving the way for Subrahmanyan to take over. The latest opportunity to acquire Mindtree came by three months ago when Siddhartha decided to sell his stake as part of efforts to repay his debts. L&T had initially engaged in talks with Mindtree’s promoters before deciding to chart its own path. “If we had not taken a look at it, it [Mindtree] would have gone to someone else because Mr Siddhartha… was intent on selling his shareholding,” Subrahmanyan said. L&T is India’s biggest engineering company and also has financial and software services businesses. Its software services unit is L&T Infotech Ltd, which offers services for the banking, manufacturing, oil and gas, and insurance industries. Mindtree caters more to the retail, hospitality, travel and technology sectors, he said, explaining the synergies between both entities. However, L&T plans to keep Mindtree independent for now and has no intention of a merger in the short or the medium term. While Mindtree’s founders have vehemently opposed the deal, Subrahmanyam and other L&T executives said the founders would see the benefits of the transaction once emotions calmed down. “We’ve seen enough Hindi movies where one-sided love becomes compelling two-sided love and the family lives happily ever after,” said L&T group CFO Shankar Raman. Raman also said that Mindtree founders’ statement that the IT company’s employees and management would shut shop was an “extreme scenario”. “But that is not how businesses are run,” he said. L&T is now waiting for approval from the Competition Commission of India. It expects no challenges since both companies have IT services business which are ‘relatively small’. The company declined to comment on whether it will raise its price for open offer – currently at Rs 980 per share — after Mindtree’s board considers a buyback proposal tomorrow. The price of Rs 980 per share is a premium to the company’s weighted average price for the past six months. The bid is being made by the parent company and not L&T Infotech to avoid leveraging the unit’s balance sheet. This also relieves the unit’s management from focussing on integration issues at the moment. L&T said there will be no merger between L&T Infotech and Mindtree in the short term. There may be a merger between the two IT services companies in the ‘long term’, but not till each is about $5 billion or $6 billion in size. Currently, both companies have revenue of about $1 billion each and there is enough room for growth, finance chief Shankar Raman said. “At a point, when we realise that it is good to combine – that’s when we will do,” he said. In the meantime, Subrahmanyam said, ‘mature minds’ in the group will take a call if there is a potential business conflict between both entities. Another reason L&T is not keen to rush through a merger is that it would distract and test management bandwidth. It also wants to protect the interests of minority shareholders of L&T. 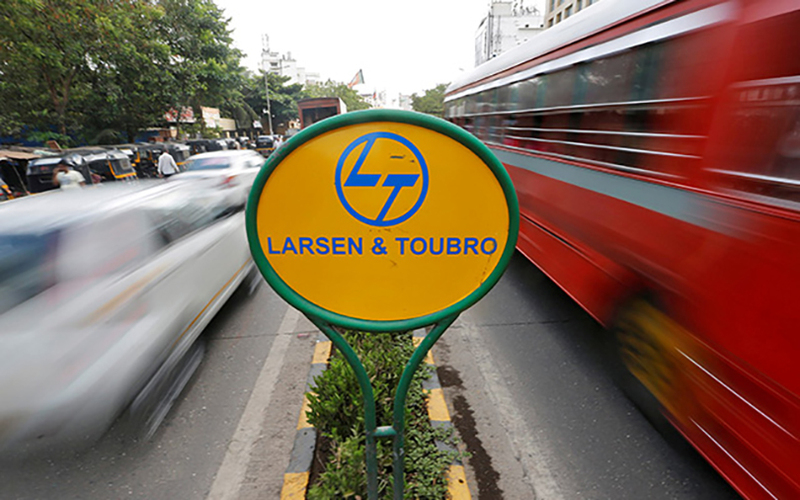 L&T executives said it has cash on hand of about Rs 15,000 crore to Rs 16,000 crore, which is earning a 5% return after tax. Mindtree’s acquisition does not dilute this yield. The return on equity is neutral to start with and will become accretive in future – in line to reach 18% by 2021, Shankar Raman said.